This article originally appeared in The Oregonian. Oregon’s bountiful agriculture is no secret. As a cornerstone of our economy, Oregon’s farmers and food producers have developed a growing international reputation as an innovative food capital. However, what many people do not know is that Oregon’s agriculture is also a significant contributor to our country’s ability to alleviate humanitarian suffering and lay the foundation for “winning the peace” around the world. Over the past two weeks, seven ships filled with 176,000 tons of wheat left Portland for Yemen, the scene of one of the world’s worst humanitarian crises. USAID, which administers the Food for Peace program, purchased the wheat that was grown in the Oregon and across the Pacific Northwest. This purchase benefitted America’s wheat famers while helping to meet the immediate food needs of people in crisis in far corners of the world. War in Yemen has driven more than 18 million people to the brink of starvation. When communities cannot access food, people confront challenging and often destructive choices. Vulnerable populations are more likely to be forced to abandon their farms and homes. They are more susceptible to being recruited into gangs or militias. Women risk death or sexual assault when they have to travel miles alone searching for food. Families risk starvation and even death. When food aid arrives from the United States — branded “From the American people” — families are given a little more time to stay in their homes, rebuild their communities and develop opportunities to “win the peace.” They also know who sends them the food, and this builds years of good will. For the past 50 years, Food for Peace has become a flagship of U.S. foreign policy, and more than three billion people in over 150 countries have benefited from American generosity during some of their most dire moments. 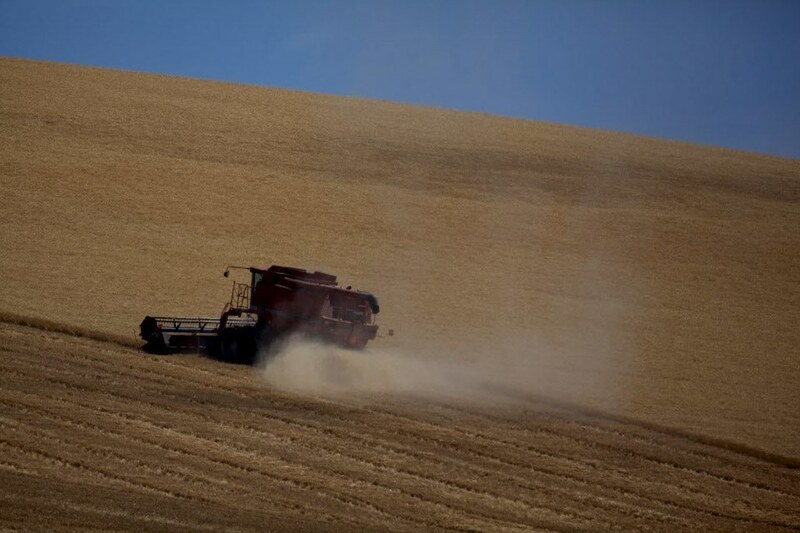 This week, the UN World Food Program will take possession of the wheat here in Oregon, and their country director, Stephen Anderson, will be in Portland to officially thank the American people. As your elected officials, we are proud to see Oregon’s bounty used in one of our nation’s most effective peacebuilding tools, and we have some strong personal connections to the success of this program. Merkley: As your U.S. Senator, I have visited a couple of the World Food Program projects abroad. This March, as a member of the Senate Foreign Relations Committee, I visited South Sudan and Somalia, which are plagued by famine caused by climate change, conflict and government corruption. I saw firsthand how U.S. resources and generosity save lives, deliver hope, offer economic opportunities to communities and provide the basic nutrients that motivate millions of girls and boys to go to school. When people can thrive in their own countries, they build a stronger future for us all and reduce the threats to international security. There is one more unique connection with this particular shipment of wheat that leaves Portland this summer. Twenty five years ago, a Yemeni scholar came to Oregon State University for agriculture studies and raised his kids in Oregon. He then returned to Yemen, where he and much of his family are caught in this war and will likely benefit from America’s produce. However, his son, Mohamed Alyajouri, stayed in Corvallis, became a U.S. citizen and earned his Master’s degree in public health. He now works at OHSU and last year, he became the first Yemeni-American to be elected to office in Oregon, taking a seat on the Portland Community College Board of Trustees. While we serve on different sides of the political aisle, in different legislative bodies, we see these agricultural programs representing the best of American values, culture and policy. We are proud of how our state’s agricultural heritage and products promote international connections for a more peaceful, stable and hopeful world. *U.S. Sen. Jeff Merkley, a Democrat born in Myrtle Creek, serves on the Senate Foreign Relations Committee. *Rep. Mike McLane, who lives in Powell Butte, leads the Republican Caucus in the Oregon House of Representatives. << Read the previous story: TEDx Talks: Are We Ready to End World Hunger?